The best place for frozen drinks in all of Las Vegas! Prices are great, quantities are huge and extra shots are only a buck! Try one of 2 dozen flavors, which rotate on a daily basis. Save your drink glass, half yard or yard and get cheaper refills at any location! These drinks pack a punch; it’s a great way to chill while in Vegas! 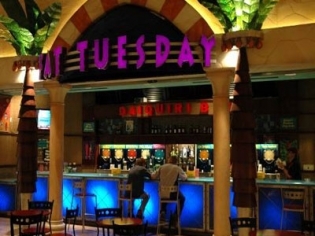 I always stop at this Fat Tuesday when I’m in Vegas! Great selections and the bartenders are so friendly! I would definitely recommend stopping by.